Sometimes, our knees can get damaged due to over-exertion – such as in sports – or due to a physical accident. In such situations, the pain we have to endure can be excruciating, and can last anywhere from a few months to a few years. Traditionally, those of us suffering from such knee pain would either have to live with it, or suppress it using drugs and medication. While knee surgery is also an option, one would often have to wait for a significantly long time before the operation can commence. In the meantime, pain relief should be our immediate concern. Are you constantly in pain from your knee injury? Is the pain preventing you from leading a normal, active life? Have you often wished for permanent relief from the pain in your knee? 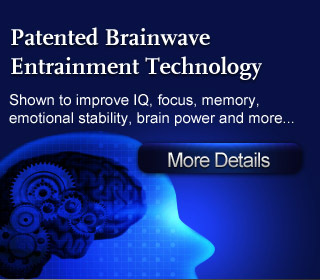 With today’s advanced Brainwave Entrainment technology, we can now easily reduce the pain that we feel from our damaged knee, and even gradually eliminate it! Finally, you can get the permanent relief that you’ve been looking for and live your life to the fullest! No reviews on G03 Knee Pain Relief Treatment so far.